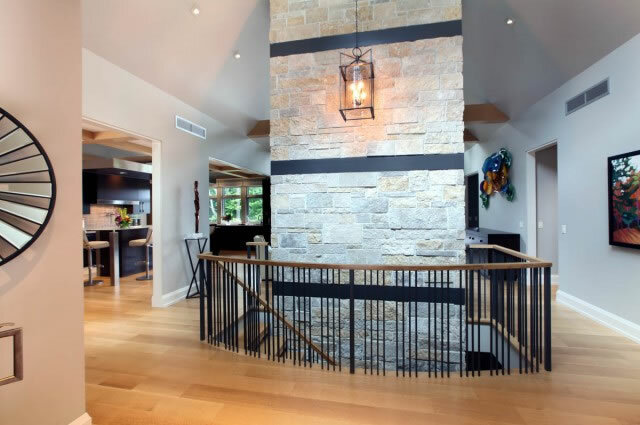 Sitting high on a private, wooded lot overlooking a river, this gorgeous 4,300-square-foot home blends the amenities of modern design with the look of a rustic lodge – complete with a stone exterior and exposed beams inside. From its many large windows to its vaulted ceilings, the home’s interior is configured to maximize its majestic views of the river. 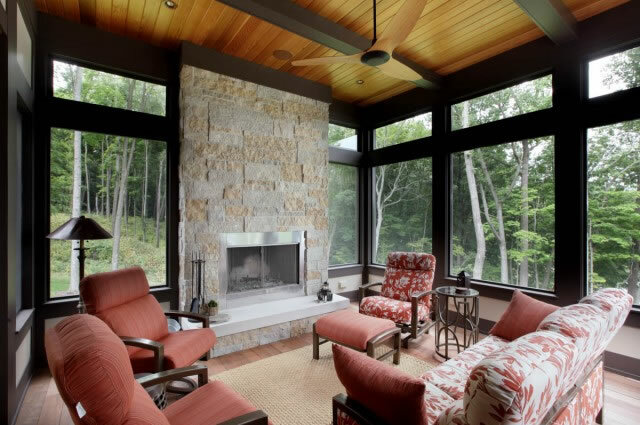 The spacious screened-in porch with its stone fireplace is the perfect spot to relax and enjoy the natural surroundings. The home office and private master suite also embrace the serene river views. The main floor boasts a grand foyer with a custom stairway that opens to large living and dining areas and a gourmet kitchen. 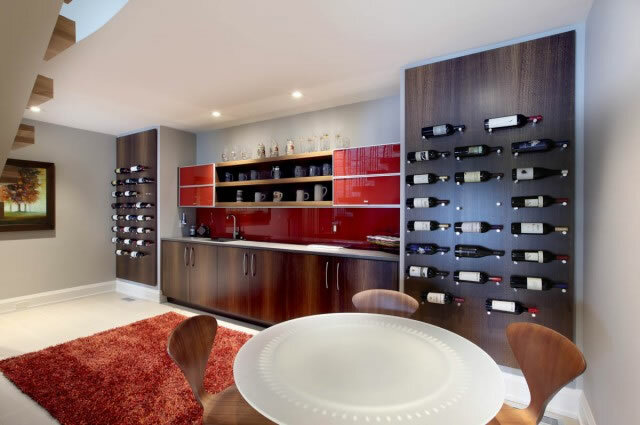 The lower level features a modern wine bar and a family room, as well as additional bedrooms and bathrooms. An exercise room and storage areas are also found here. The stone exterior with its striking pillared front porch adds to the home’s lodge-like appearance. Out back, the generous deck overlooking the river is ideal for both entertaining numerous guests and hosting intimate family gatherings.